​Sometimes we just need a push in the right direction, but most often than not, when you’re in college you find yourself going in a hundred directions all at once. Being a leader is fun, but sometimes so is just following, when it comes to Twitter that is. In honor of our first-ever live Twitter chat, occurring Monday, August 13th, here are some great Twitter accounts CG recommends you follow. ​@CollegeGloss: If you’re not following College Gloss, then do it now! Not to toot our own horn, but College Gloss is a pretty snazzy site, so of course our Twitter is just as trendy. While our weekly newsletters promote the latest features, our Twitter posts links to our latest articles daily, dishing on fashion and style, beauty, must-follow bloggers, inspirations and so much more. Plus, we’re always up to chat! Feel free to tweet at us with any questions or comments. ​@NYTimesFashion: Are you a fashionista that loves to be in the latest fashion trends worldwide? Then join the many fans who are following New York Times Fashion on Twitter. Here you’ll get breaking news about street style extraordinaire Bill Cunningham, current trends and even which designers Bill Blass is firing, again! ​@Universifree: Being in college isn’t always the easiest, especially not on your pockets ... but with a simple click to follow this budget-friendly account, you’ll be on your way to some amazing deals. Not only that, but you’ll also get some great advice when it comes to your education, scholarship offers and much more. ​@_CollegeProblem: Everyone loves when there is at least one person that can relate to their problems, especially college ones. This is your number one source for all college problems. You’re sure to find something that will have you laughing or nodding your head. ​There are plenty more Twitter accounts out there that appeal to the college girl, but these are just a few CG approves. 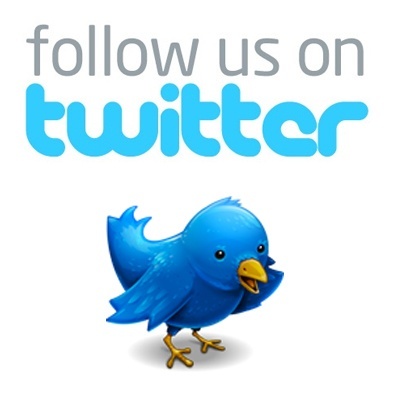 ​Leave us a comment to let us know what Twitter accounts you enjoy following. And don't forget to join in our live Back to School Twitter Chat Monday at 8/7 Central.